I guess everyone loves to eat tomatoes. I am not sure of you, tomatoes is one my of my favorite vegetables. Tomatoes are known for the health benefits they provide the human body with. From skin to organ functions and even cancer, this fruit has proven to be one of the healthiest. Tomatoes are used in numerous dishes. It can be consumed raw by adding it to salads and can be made into soup, sautéed with vegetables and meat and can also be made into juice. Tomato juice is gaining more and more popularity as it is easy to prepare and comes with a load of health benefits. Tomato juice is a natural antioxidant. 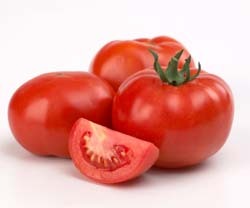 The red color of tomatoes is brought about by an antioxidant called lycopene. Antioxidants help get rid of free radicals that can cause harm to the body cells. Since tomatoes are loaded with lycopene, the body can better fight off free radicals and help prevent signs of aging like wrinkles and even lower the chances of developing cancer. Tomato juice is a high fiber drink. Tomatoes naturally contain lots of fiber. Fiber can help regulate the body’s digestive tract resulting to a healthier digestive system. It can also help lower cholesterol by sweeping through arteries and veins. This is possible by the presence of niacin which is a natural remedy for high cholesterol. Tomato juice has a lot of Vitamin C.
Vitamin C helps strengthen the body’s immune system – protecting you from common sicknesses like colds and cough. Vitamin C is also an antioxidant and can help prevent aging and fight off cancer. We all like to drink green tea. I don’t know about you, I personally like to drink hot green tea especially Japanese green tea very much. Every morning before I go to work, I prepare green tea and bring to my office. Why green tea good for you? And how many of us know health benefits of green tea. Do you know that drinking green tea was first started at in China? They started using green tea as medicine since four thousand years ago. And now, green tea has become very popular among us because of effectiveness for our health. Researchers found out many beneficial vitamins and minerals in green tea that helps to prevent various diseases. Regularly drinking green tea can also reduce the risk of cancer too. Helps to keep diabetics under control. 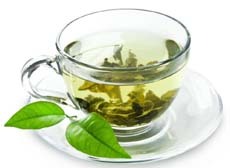 As green tea does so much good things for us, And for those if are not considered as green tea lovers, you can try to create a habit of drinking green tea on a regular basis. This habit will keep you more healthy and keep you apart from many diseases.